Are you a fan of The Gifted and/or The Orville? FOX has just released new trailers for the TV shows’ upcoming second seasons. From Seth MacFarlane, The Orville follows the crew of the U.S.S. Orville as they face off against dangerous alien races and their own personal issues. The cast includes Seth MacFarlane, Adrianne Palicki, Penny Johnson Jerald, Scott Grimes, Peter Macon, Halston Sage, J Lee, Mark Jackson, Chad L. Coleman, and Norm Macdonald. 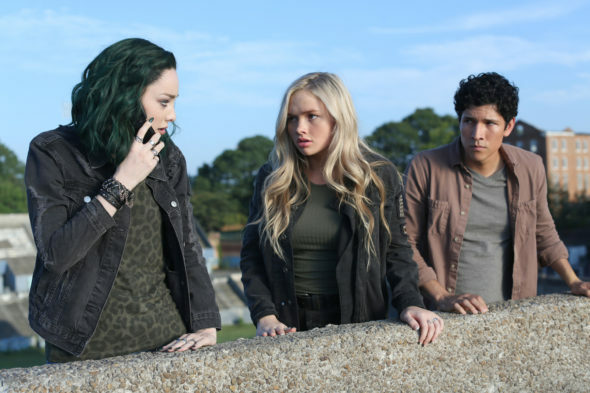 Meanwhile, The Gifted centers on Reed and Caitlin Strucker (Stephen Moyer and Amy Acker) and their teenaged children, Lauren (Natalie Alyn Lind) and Andy (Percy Hynes White), who possess superpowers. Season two of The Gifted premieres on FOX on September 25th while season two of The Orville debuts on December 30th. What do you think? Have you seen either The Gifted or The Orville? Will you watch season two? More about: FOX TV shows: canceled or renewed?, The Gifted, The Gifted: canceled or renewed?, The Orville, The Orville: canceled or renewed? Sooooooo loking forward to the Orville. It was the show of 2017 that over delivered from expectation and is unmissable. Just don’t mess with the format as it works perfectly.